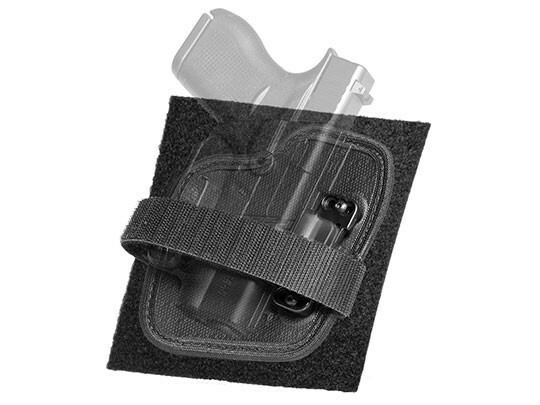 NOTE: This product is not a full holster; it requires a Shift Shell in order to operate. Convenience and safety should go hand-in-hand. With our new ShapeShift Hook & Loop Expansion Pack, it’s easier than ever to keep your firearm within reach. Other holster mounting kits are complicated to install and require permanent drill holes where you want to mount your holster. The ShapeShift Hook & Loop Expansion Pack eliminates the need for tools to install, and it’s perfect for places you don’t want permanent holes. The ShapeShift Hook & Loop Expansion Pack is optimal for use in your vehicle, under your desk, or at your bedside with three included Landing Pads. This American-made expansion pack fits any ShapeShift Series shell you already own and comes with multiple Landing Pads for multiple mounting locations. It can be installed in minutes, so you can feel confident knowing your firearm is always within reach. To use the ShapeShift Hook & Loop Expansion Pack, just remove the backing from the Landing Pad. With the high strength adhesive side down, place the Landing Pad on any smooth, flat surface. The ShapeShift Hook and Loop Holster utilizes VELCRO® brand technology while using the same attachment method as other ShapeShift Series holsters for your Shift Shell with an additional strap for security. After 24 hours of curing time for the Landing Pad, you can place the holster on any applied Landing Pads! We believe in crafting all of our holsters with only the highest-quality materials—that’s why we rigorously tested the Landing Pads, so you can rest assured that they will withstand daily use and your handgun will be available when you need it most. Our super-strength adhesive has been tested up to 230°, so it will stay in place even in the hot summer months. We tested the premium high life-cycle VELCRO® brand material for over 2,000 holster removals, so you know it’s made to last. The ShapeShift Hook & Loop Expansion Pack comes with a 30-day Test Drive. If you don’t love it, you can return it — completely hassle-free. And if anything breaks on your holster for any reason, you can rest easy knowing it’s backed by our Forever Warranty. At Alien Gear Holsters, we know safety comes first. Now you can feel confident and secure, knowing your firearm is always within reach. There is a chance that the industrial strength adhesive might cause some damage upon removal, depending on the material the Landing Pad is adhered to. This happens with most adhesives. After the adhesive on the Landing Pad has cured after 24 hours, the “loop” pad will be very difficult to reposition. Please thoroughly consider where the loop pad is placed before adhering it to the surface. 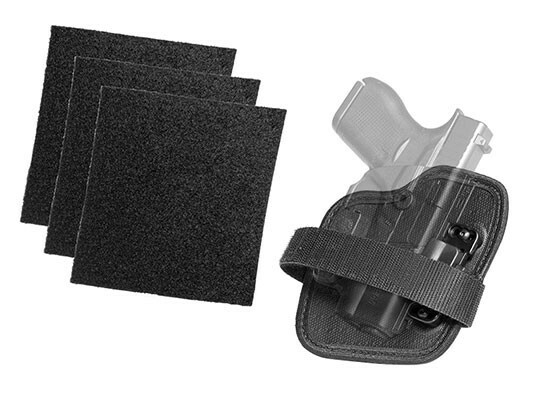 Surfaces blemished by a removed adhesive pad will not be covered by the holster's warranty.